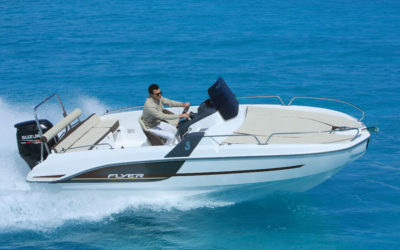 The Flyer 6.6 Sportdeck is a sporty, youthful model that exudes balance no matter what speed. 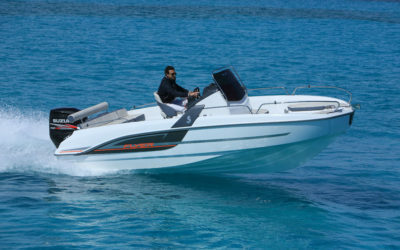 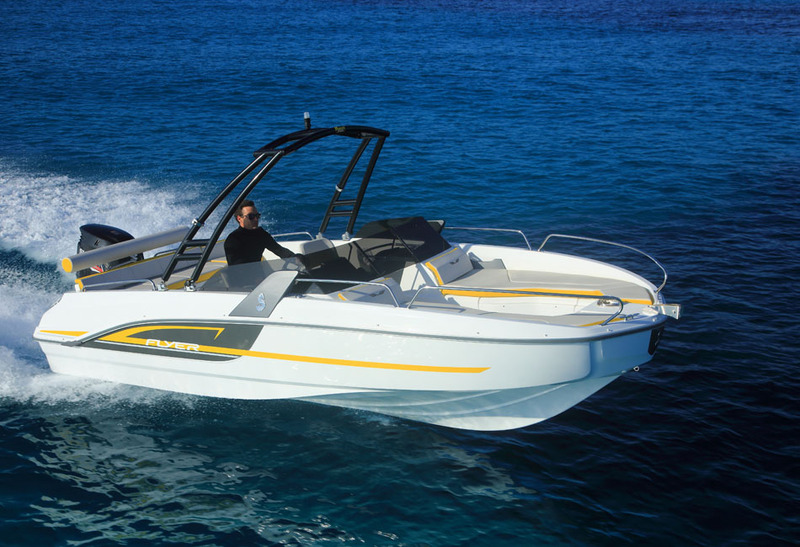 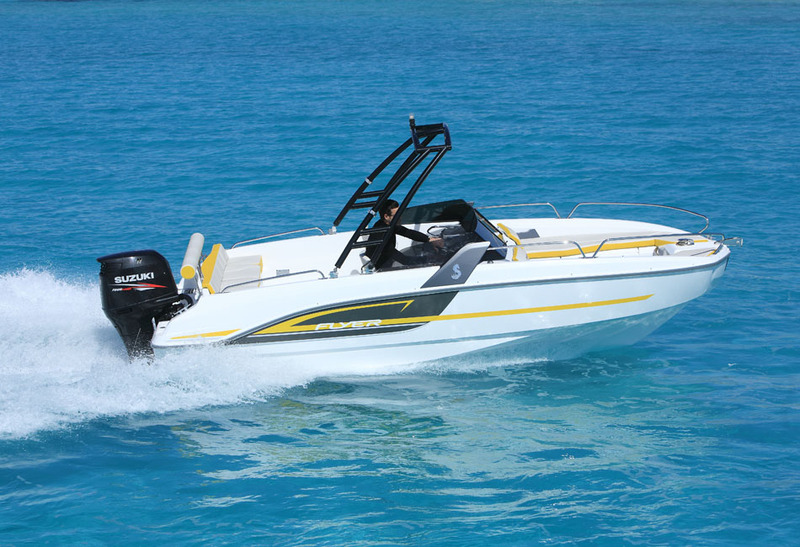 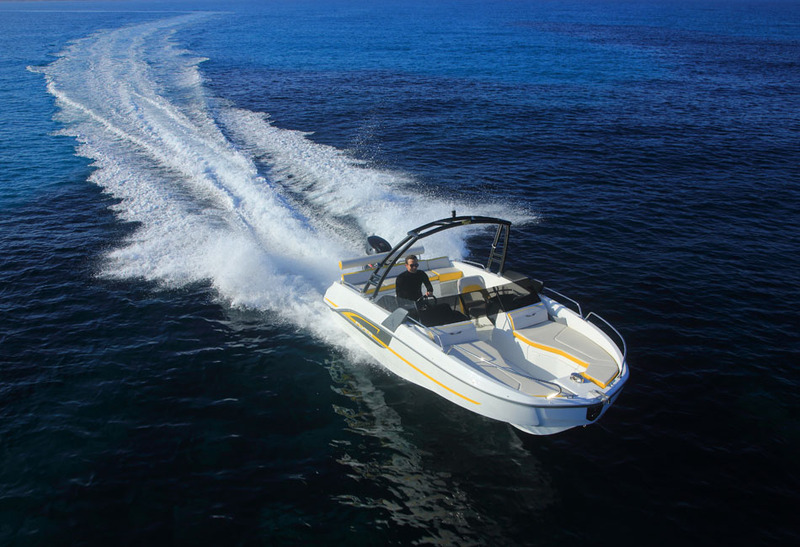 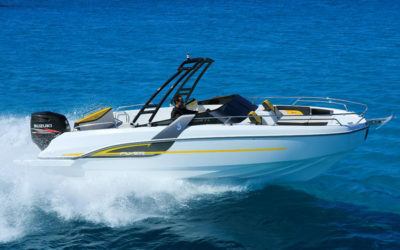 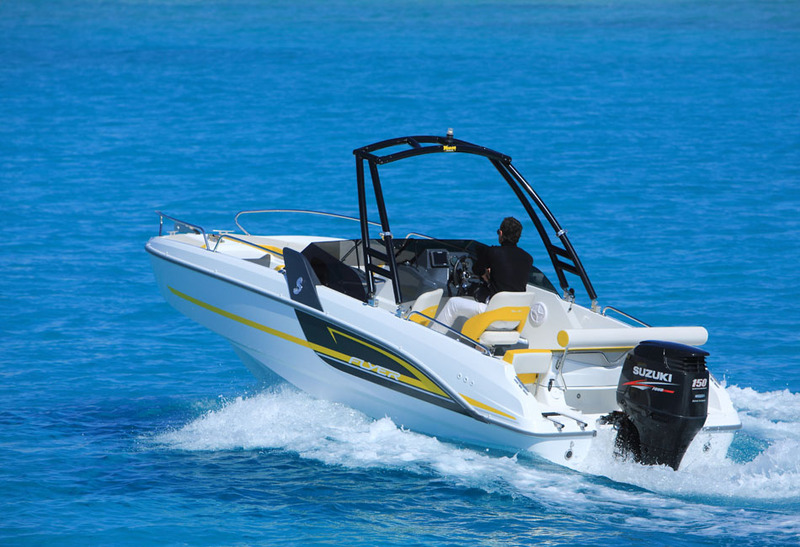 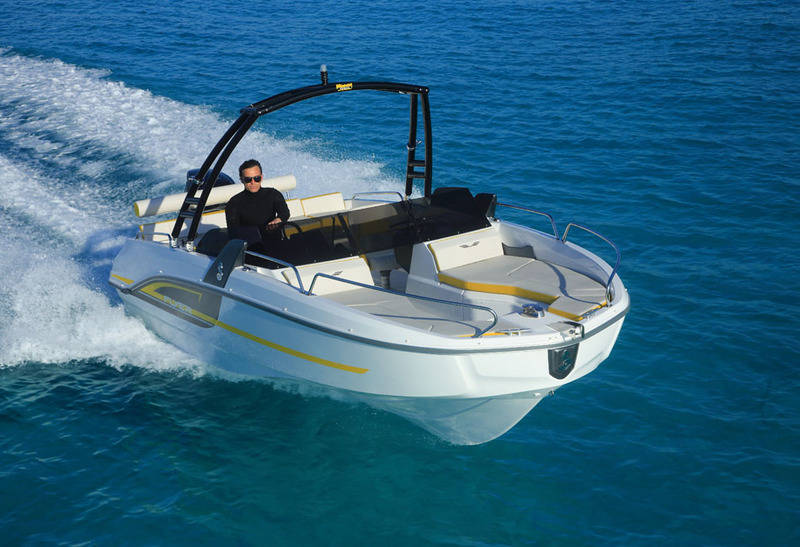 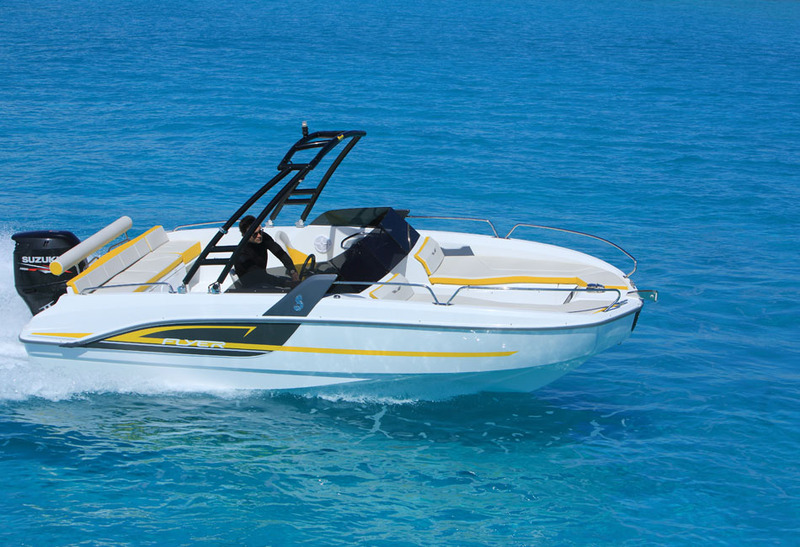 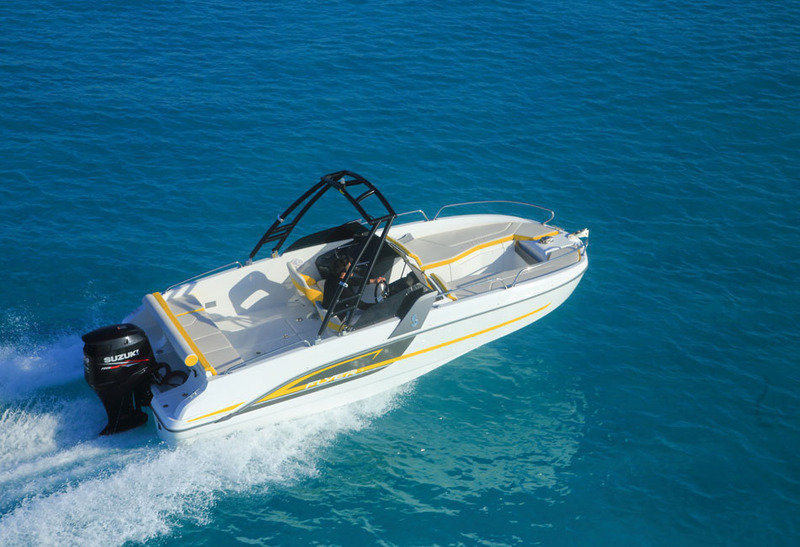 She’s sporty yet elegant and a pleasure to drive and ride on – this day boat is a choice model for safe and fun outings. 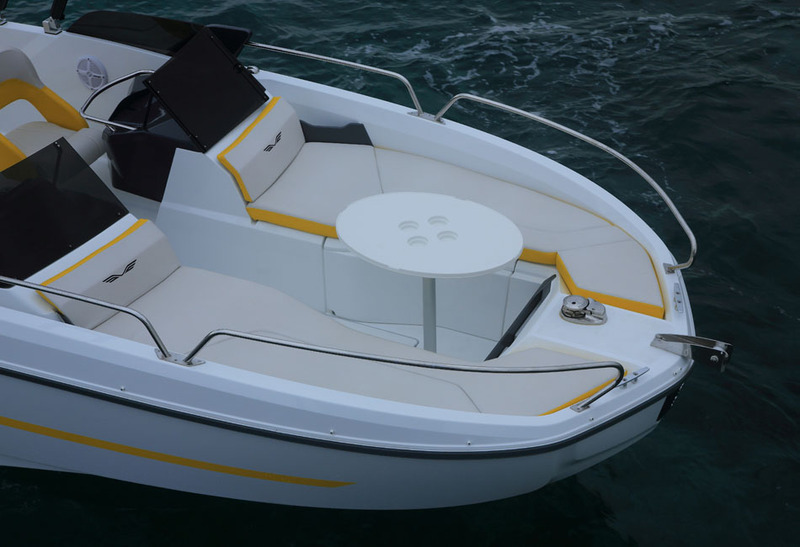 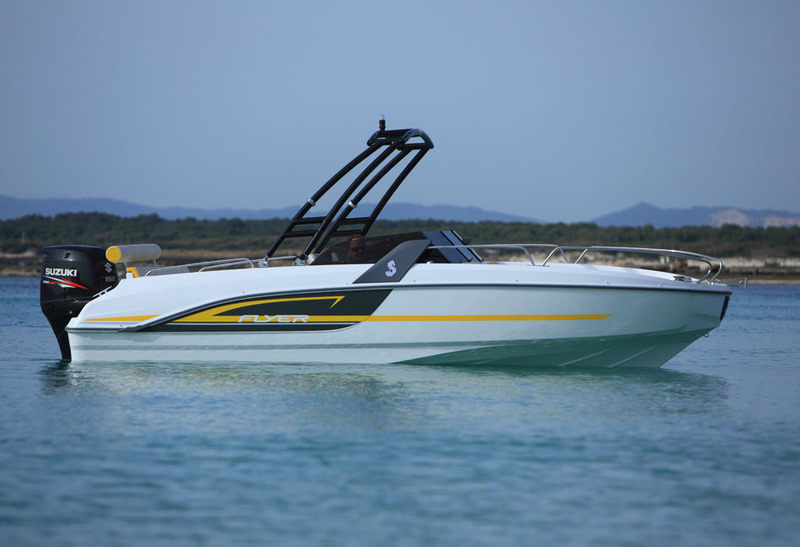 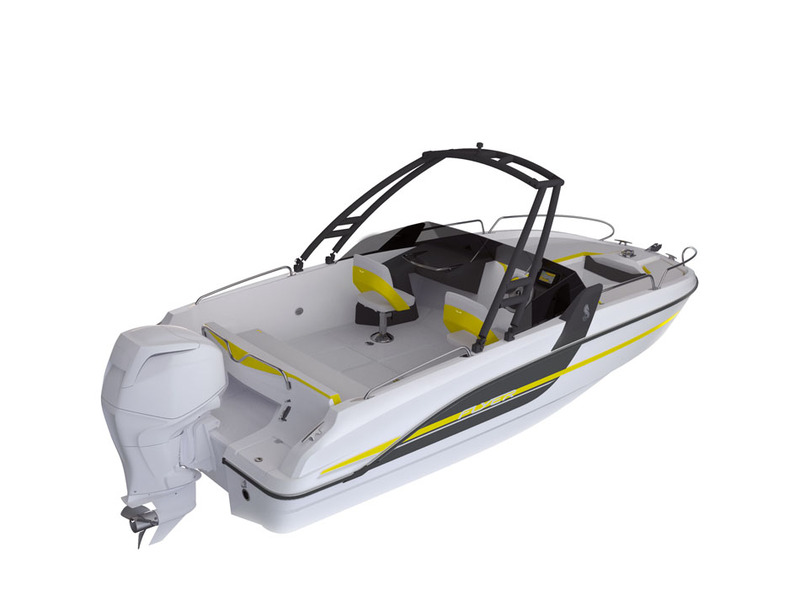 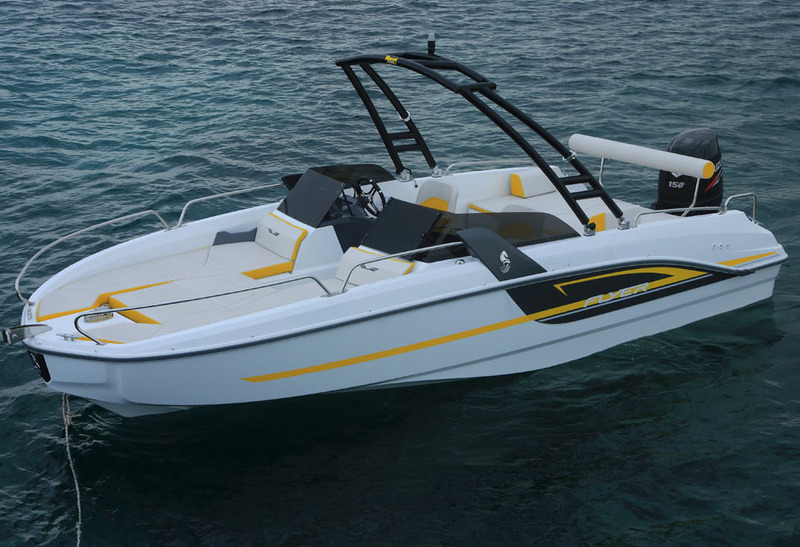 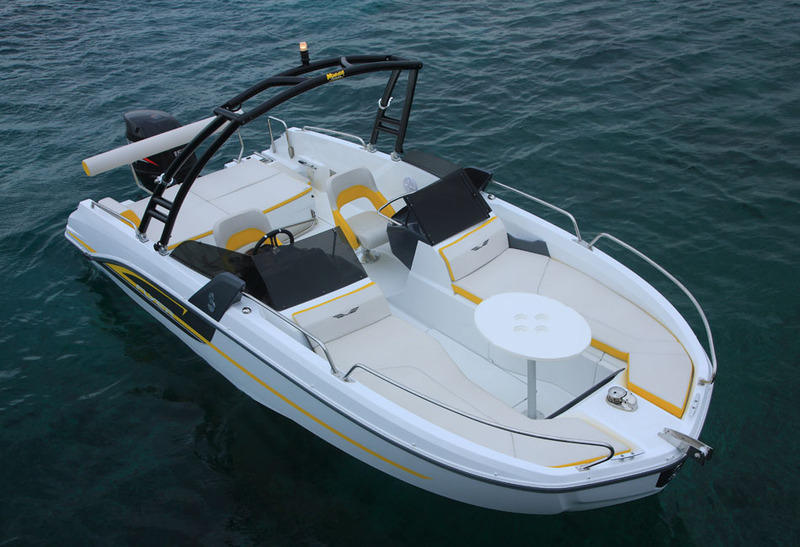 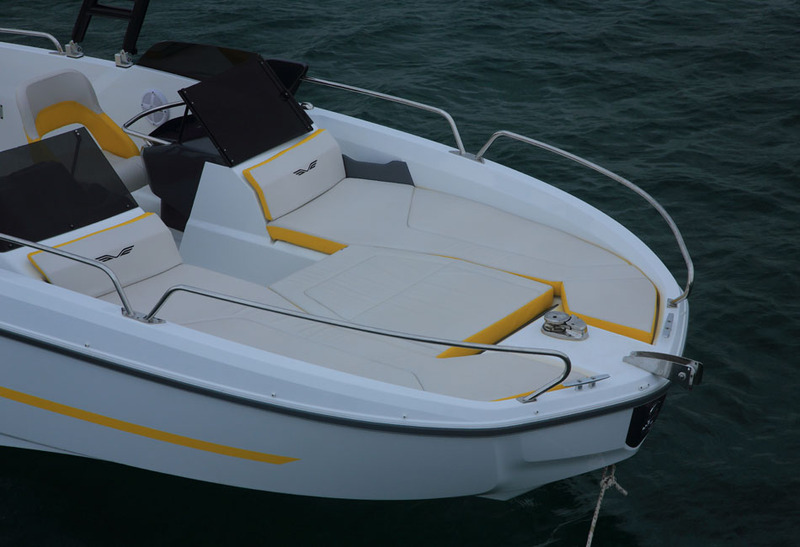 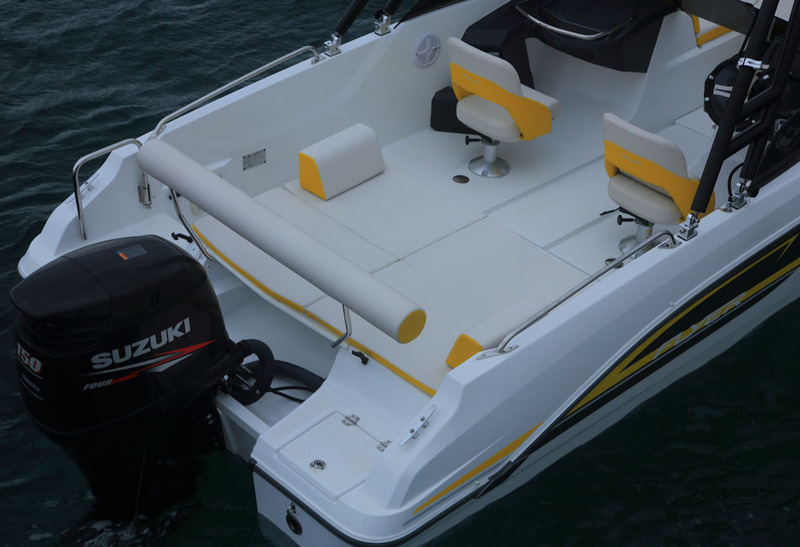 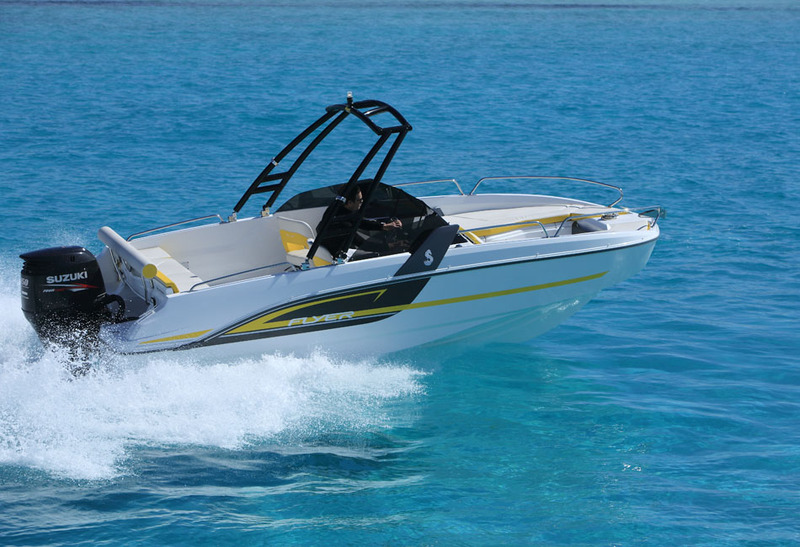 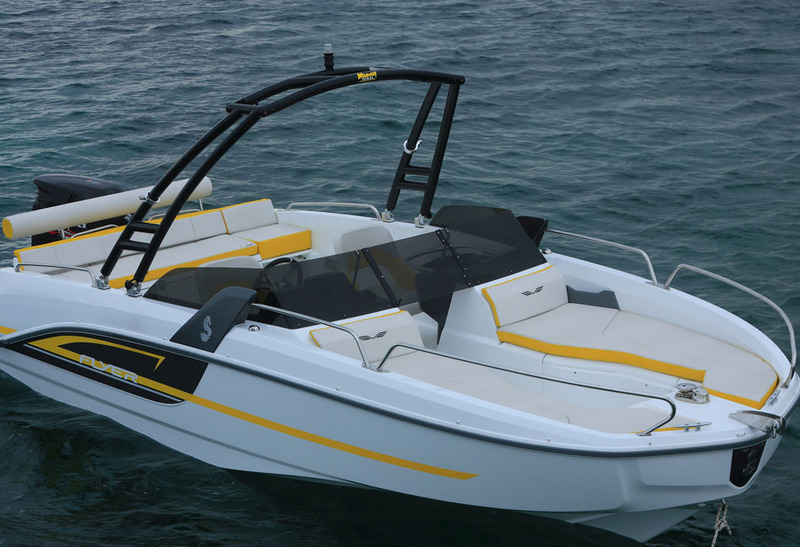 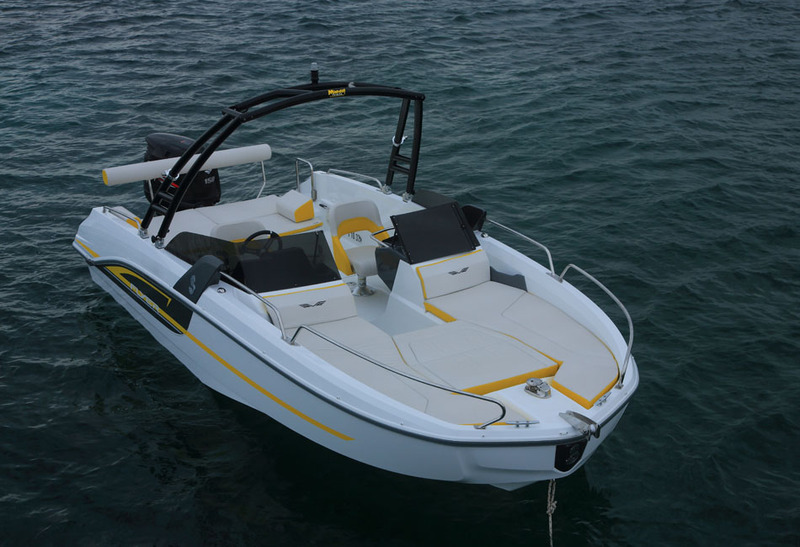 The Flyer 6.6 Sportdeck has a low profile windshield which contributes to her incisive style and stunning yellow color. 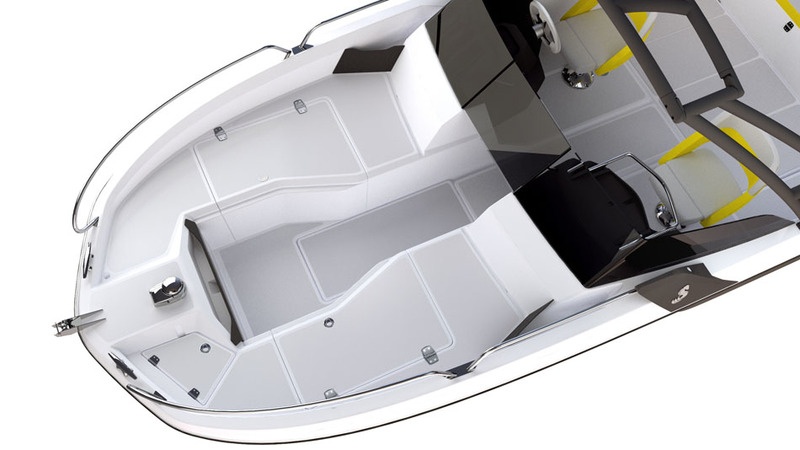 The pronounced V-shaped bow and almost vertical surfaces enable her to deflect water effectively. 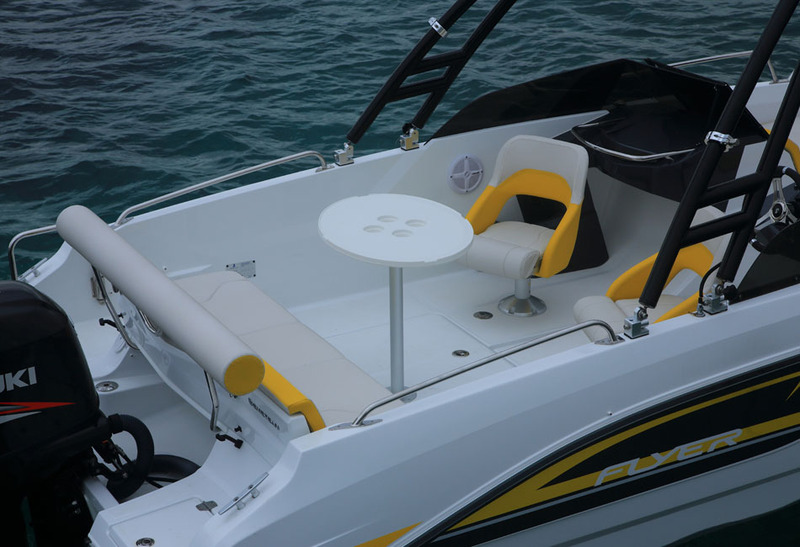 The two driving consoles of the Flyer 6.6 Sportdeck are lowered for extra comfort for the pilot as well as his co-pilots. 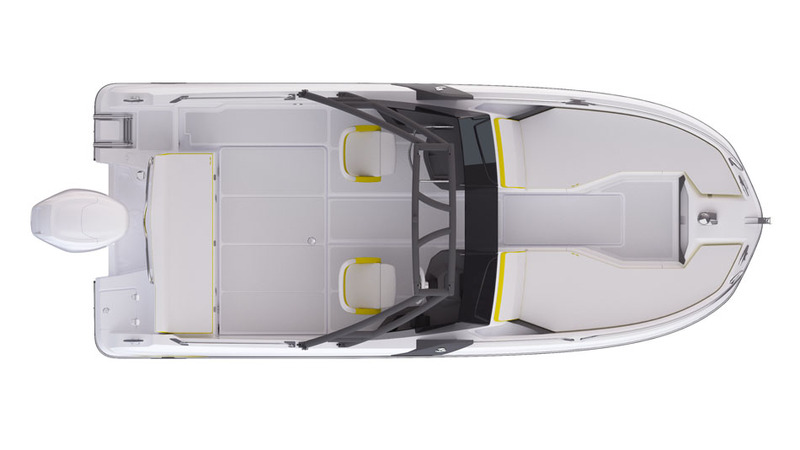 The consoles are located on both sides of a central passage, reflective of the American bow riders.